Thanks to Maryland PIRG for making this issue a priority. As with the 'territorial tax' deal that would protect overseas profits, the failure to address the entire industry of hiding money makes many of these issues mute. It is especially important that democratic voters know that it is the leadership in your own party that leads the way in offering policy that allows these guys to take the money and run! It would be very helpful when writing of these tax shelter issues to highlight which states and people offer the policies and businesses to move the money offshore. As a democrat I want people to know that it is Delaware and Nevada, home of our own Senate leader Harry Reid and our Vice-President Biden. People need to be made aware of how the people they elect work against the very issues they claim to support. As I watched the Obama/Biden match up against Romney all I could see was Biden slapping Romney on the back thanking him for using a Delaware wealth shelter. With Congress scrambling to agree on ways to reduce the deficit, Maryland PIRG joined with MaryPIRG Students and a concerned College Park student today to point out a clear first step to avoid the “fiscal cliff”: closing offshore tax loopholes. Many of America’s largest corporations and wealthiest individuals use accounting gimmicks to shift profits made in America to offshore tax havens, where they pay little to no taxes. This tax avoidance costs the federal government $150 billion in tax revenue each year. Maryland PIRG released new data illustrating the size of this loss with 16 dramatic ways $150 billion could be spent. At least 83 of the top 100 publically traded corporations in the U.S. make use of tax havens, according to the GAO. American companies like Wal-Mart, Coca Cola, and Pfizer – which benefit from our educated workforce, infrastructure, and security – keep more than 70% of their cash offshore. Thirty of America’s largest, most profitable corporations actually made money off our tax code between 2008 and 2010 by avoiding taxes altogether and receiving tax rebates from the government. By using offshore tax havens, corporations and wealthy individuals shift the tax burden to ordinary Americans, forcing us make up the difference through cuts to public services, a bigger deficit, or higher taxes for everyday citizens. · Bring transportation into the 21st Century by funding construction of 15 commuter rail lines, 50 light rail transit lines and more than 800 bus rapid transit lines. Perhaps most strikingly, reclaiming the $150 billion lost to offshore tax loopholes would more than cover the $109 billion in automatic spending cuts that will take effect in 2013 if Congress fails to avert the “fiscal cliff.” In fact, over ten years this lost revenue would be enough to achieve 37.5% of the $4 trillion debt reduction goal for that period favored by bipartisan leaders in Congress. “There are some tough budget decisions ahead, but closing the offshore tax loopholes that let large companies shift their tax burden to the rest of us should be an easy one.” Muth added. A Few Ways some of America’s largest corporations drastically shrink their tax bill. · Google uses techniques nicknamed the “double Irish” and the “Dutch sandwich,” involving two Irish subsidiaries and one in Bermuda – a tax haven – that helped shrink its tax bill by $3.1 billion between 2008 and 2010. · Wells Fargo paid no federal income taxes between 2008 and 2010 despite being profitable all three years in part due to its use of 58 offshore tax haven subsidiaries. · Microsoft avoided $4.5 billion in federal income taxes over three years using sophisticated accounting tricks to artificially shift its income to tax-friendly Puerto Rico. The American company pays its Puerto Rican subsidiary 47% of the revenue generated from selling products in America that were developed in America. Last year, our pressure helped prevent the "Super Congress" from creating a grand bargain to cut Social Security and Medicare while funding war preparation and billionaires. We need more pressure now to prevent the Lame Duck Congress and President from doing what the Super Congress couldn't. Please forward this email to everyone you know. The money to save is in the military, and nobody will say that if we don't. Military contractors created more jobs 6 years ago when we gave them less money. The war machine is neither a moral nor an effective way to produce jobs. A deal that maintains war-preparation spending is neither grand, nor a bargain. At President Obama's first post-election press conference he stressed his eagerness to work with Republicans. Without being asked about Medicare or Social Security, he urged "deficit reduction that includes entitlement changes." Reporters didn't ask about the option of cutting military spending, and the President never brought it up. Does this sound like ingredients of a Grand Bargain you'd like to see? Tell the President and Congress to expand Medicare and Social Security, to invest in green energy, to raise taxes on the rich and corporations, and to cut military spending back to the level of 12 years ago. Please forward this email widely to like-minded friends. P.S. Our small staff is supported by contributions from people like you; your donations are greatly appreciated. P.P.S. RootsAction is an independent online force endorsed by Jim Hightower, Barbara Ehrenreich, Cornel West, Daniel Ellsberg, Glenn Greenwald, Naomi Klein, Bill Fletcher Jr., Laura Flanders, former U.S. Senator James Abourezk, Coleen Rowley, and many others. CALL YOUR ELECTED OFFICIAL AND SAY 'NO MORE TAX CUTS FOR THE RICH'! WE ARE HEARING THIRD WAY LIBERALS ALREADY CALLING FOR THE GRAND BARGAIN THAT USES THE BOWLES-SIMPSON PLAN AS A GUIDE. THIS MAKES HUGE CUTS IN ENTITLEMENTS WHILE CLOSING LOOPHOLES FOR THE RICH THAT WE KNOW WILL BE REINSTATED IN NO TIME. ALL YOUR INCUMBENT NEEDS TO DO IS JUST LET BUSH TAX CUTS EXPIRE AND THEN COME BACK AND REINSTATE THOSE FOR THE MIDDLE/LOWER CLASS. DO NOT LET THEM TELL YOU THEY HAD TO COMPROMISE! SIGN THE PETITION BELOW!!! This election made one thing clear: Americans want to restore fundamental fairness to our system -- and don't want unfair tax cuts for the wealthiest to continue. That starts now, before newly elected progressives even arrive in the Senate. Many in Congress are pushing for a major budget showdown on revenue and spending during the "lame duck" session between now and January -- and Republicans will almost certainly push for more tax cuts for those who don't need them, while holding middle-class tax cuts hostage. We can't let them get away with it. Congressional Democrats have a mandate to lead and to stop the Republicans from giving away more wasteful tax cuts to the wealthy. We need to remind Democrats why we worked to elect them. Sign Progressives United's petition now: No continuation of unfair tax breaks for the wealthiest, no matter how temporary, or Democrats walk away from the table. Congress is facing a deadline on multiple issues at once. There are automatic cuts set to trigger in a number of programs. At the same time, the tax cuts created under President George W. Bush are set to expire, including not only those for the middle class, but also those which only benefit the very wealthiest. With all that's at stake, Democrats can't allow corporate lobbyists and wealthy interests to hold the rest of America hostage by agreeing to an extension, no matter how temporary, of these unfair tax breaks for wealthy. It is time to allow those fiscally irresponsible tax breaks to expire. Make sure Democrats walk away from any bad budget deal that fails to allow the Bush era tax cuts that only benefit the wealthiest to expire at the end of this year. This has worked for us before. In 2011, we helped pressure Democrats on the "deficit super committee" not to sacrifice our priorities, and they did so by walking away from a bad deal. We need to stay strong now. No deal is better than a bad deal. I HEARD SEIU ON NPR YESTERDAY AS THE HEAVILY CORPORATE FORMAT OF NPR TRIED ITS BEST TO FORCE THE COMPROMISE STANCE OF THIRD WAY BOWLES-SIMPSON TO BE INCLUDED IN THIS UNION STANCE. NPR HAS GONE OFF THE DEEP END IN ITS COMMITMENT TO CORPORATE LIBERAL POLICY!!! I WAS PROUD WHEN THAT UNION REP STOOD FIRM IN SAYING THAT WE DO NOT SEE THE NEED FOR CUTS WHEN THE RICH AND CORPORATIONS HAVE YET TO PAY THEIR SHARE!!!!! In the coming weeks, Congress will be making decisions that will have long-term effects on our economy. If our elected representatives act responsibly, they have an opportunity to shrink the economic inequality gap and protect the vital services working families depend on for years to come. We need to make sure they do just that. Fill in your information to co-sign the following letter. SEIU members will be hand delivering the signatures Congress later this month. In the November election, Americans delivered a mandate: Fix the economy by strengthening the middle class and working families. Our country has come a long way since the worst of the recession, but far too many families are still struggling to make it. As you consider urgent budget decisions over the next seven weeks, our highest priority is job creation and economic growth, and not devastating cuts that will cripple our recovery. The best way to reduce the deficit is to put people back to work and accelerate our recovery. Create jobs and grow the economy. The best way to reduce the deficit is by investing in good jobs and keeping the economic recovery going. Protect Medicare, Medicaid, and Social Security. Any deal must protect the millions of Americans who depend on these core programs and maintain our nation’s safety net. Let the Bush tax cuts for the top 2% expire and require corporations to pay their fair share.The middle class tax cuts should be extended immediately. Protect vital public services like child care, Head Start, and special education. TELL CONGRESS IT'S TIME FOR A ROBIN HOOD TAX! Wall Street gambling and greed collapsed the global economy and we are still reeling. Politicians claim America is “broke” to justify layoffs and draconian cuts in critical services. We have a better idea. Yesterday, U.S. Rep. Keith Ellison (D-MN), co-chair of the Progressive Caucus, introduced a bill to place a tiny tax on the sale of stocks, bonds, and derivatives. This bill has the potential to raise billions in desperately needed revenue while clamping down the Wall Street casino that continues to threaten our financial stability. Join PRwatch.org and RootsAction.org and hundreds of other organizations in calling for a Robin Hood Tax. It's not a tax on the people, its a tax for the people! P.S. The Center for Media and Democracy is a non-profit investigative reporting group. Our websites are PRWatch.org, SourceWatch.org, BanksterUSA.org, ALECexposed.org and FoodRightsNetwork.org. We are joining hundreds of other groups and organizations in calling for a Robin Hood Tax. VOTE YOUR INCUMBENT OUT OF OFFICE!!! Republican and Democratic congressional leaders are weighing whether to delay automatic federal spending cuts until March 2013, according to a House aide and industry officials who were briefed on the discussions. The $1.2 trillion in automatic spending cuts over a decade, half of which would affect the Defense Department, are scheduled to begin in January 2013. At the same time, lawmakers must decide what to do about income tax cuts and other tax breaks scheduled to expire at the end of the year. Leaders in both chambers are discussing whether to propose a catch-all bill that would delay the automatic cuts, fund the government through March or later and temporarily extend the George W. Bush-era tax cuts and other tax laws, said the House aide and industry officials, who asked to speak on condition of anonymity. “It is being seriously considered as one of the options and there is no doubt about that,” Steve Bell, the senior director of the Economic Policy Project at the Bipartisan Policy Center, said in an interview. The measure would follow a short-term stopgap spending bill to keep the government operating after Oct. 1, the people said. The automatic cuts are required by the 2011 agreement to raise the U.S. debt limit. The cuts were designed to require Congress to find other deficit-reduction proposals to replace them. Lawmakers so far haven’t agreed on such a plan. The second measure funding the government until March or later would carry the delay of the automatic spending cuts, according to the congressional aide and industry officials, who said they weren’t authorized to describe the option on the record. Averting Cuts The Republican-led House passed a bill in May to avert defense spending cuts and plans to vote in July on a measure to extend the expiring tax cuts. Neither measure will advance in the Democratic-controlled Senate. President Barack Obama opposes both proposals. The outcome of the November election will help determine what action Congress will take to avert the automatic budget and tax changes. The stack of tax-and-spending issues creates the potential for a deal on fiscal policy, a partisan standoff or a congressional deal that staves off an immediate crisis by setting up another one in the future. YOU ARE ALREADY HEARING THIRD WAY DEMOCRATS RETURNING TO THE BOWLES-SIMPSON PLAN FOR DEFICIT REDUCTION..........ACROSS THE BOARD TAX REDUCTION FOR CORPORATIONS/WEALTHY IN EXCHANGE FOR CLOSING LOOPHOLES. THIS WITH MAJOR CUTS TO MEDICARE AND SOCIAL SECURITY AND OTHER SOCIAL PROGRAMS. THEY CALL IT THE 3:1 APPROACH.....CUT THREE TIMES SPENDING TO EACH TAX/REVENUE INCREASE. AFTER FOUR YEARS OF THE RECESSION THE AMERICAN PEOPLE HAVE GIVEN UP TRILLIONS IN DOLLARS IN WEALTH AND SERVICES WITH ABSOLUTELY NO CUTS.....IN FACT MONEY HAS FLOWED TO CORPORATIONS AND THE WEALTHY. THEY ARE NOW PROPOSING 3 TIMES MORE SPENDING CUTS. BUT WE CAN VOTE OUR STATE AND LOCAL INCUMBENTS OUT OF OFFICE! Whew. In a previous life, The Fact Checker covered the Clinton White House and always marveled at Bill Clinton’s speechifying, his apparent command of policy and his sometimes slippery use of the facts. We are going to offer an initial take on some of his claims — and those of other Democrats — and then may come back to others in the coming days. Everyone needs to get some sleep. The repeated claim that Obama’s budget reduces the deficit by $4 trillion is simply not accurate. By the administration’s math, you have nearly $3.8 trillion in spending cuts, compared to $1.5 trillion in tax increases (letting the Bush tax cuts expire for high-income Americans). Presto, $1 of tax increases for every $2.50 of spending cuts. ATTEND THIS MEETING ON WEDNESDAY JUNE 20 TO SAY NO TO GAMBLING AND NO TO LOWER STATE REVENUE.....THE PURPOSE IS REVENUE, NOT PROFITS. Members of Gov. Martin O'Malley's work group on expanding gambling are meeting today behind shut doors in the House office building in Annapolis. The group convened a little after 11 a.m. -- and members were mum on what was on the agenda. The next public meeting for the group is set for Wednesday. Matt Gallagher, chief of staff to O'Malley, asked a reporter from The Baltimore Sun to leave saying the meeting was closed. A staffer for Senate Republican Leader E. J. Pipkin was also booted. O'Malley named the 11-member work group to examine the issues surrounding adding a sixth casino in Maryland and allowing games at all facilities. They've held two open meetings. It is not clear whether the group has had other private gatherings. One key topic still at issue is the proper tax rate on gambling proceeds. MGM Resorts International has said it will build a mega casino and resort in Prince George's County if the state expands there and if the General Assembly lowers the 67 percent tax rate to 52 percent. CORPORATE THIRD WAY DEMOCRATS ARE TRYING TO MAKE THE MIDDLE-CLASS THINK THAT THEY ARE PROTECTING THEM FROM ONEROUS TAXES BY NOT LETTING THE BUSH TAX CUTS EXPIRE.......IT IS JUST THE OPPOSITE......WE NEED THIS TAX BASE TO BRING BACK MIDDLE-CLASS QUALITY OF LIFE! SHOUT LOUDLY AND STRONGLY FOR THE END OF BUSH TAX CUTS! This week, you'll be hearing a lot of politicians in Washington DC talk about the Buffett Rule, which if passed would ensure that millionaires pay at least 30 percent in taxes on their income. But it's important that we be clear that the Buffett Rule is not a substitute for rolling back the Bush tax cuts, which along with disastrous wars of choice, are responsible for the last decade's spike in our national debt. The Buffett Rule, which would raise an estimated $50 billion over 10 years, would not make an appreciable dent in the deficit or provide a lot more for essential programs. By comparison, letting the Bush-era tax cuts expire for taxpayers making more than $250,000 a year, as the president has also called for, would raise $800 billion over 10 years. Mr. Obama must ensure that the Buffett Rule does not become a substitute for ending those tax cuts. Tell the White House and Democratic leaders in Congress: Pass the Buffett Rule, and then end the Bush tax cuts for the wealthy and make corporations pay their fair share too. In recent weeks we have been hearing a lot of disconcerting rhetoric coming out of Washington DC about the need to cut our social safety net under the guise of deficit reduction. Democratic leaders including President Obama have adopted rightwing talking points about the need for "shared sacrifice"2 and a "grand bargain. "3 This is code for raising the retirement age and making brutal cuts to vital programs such as Medicare and Medicaid. There is no need for our leaders to make concessions like these at the beginning of negotiations. In fact history has shown us that such pre-emptive caving leads to disastrous results. If the Democratic establishment is serious about addressing the national debt and deficit, there is a simple way to do it: letting the Bush tax cuts permanently expire at the end of 2012. Adopting the Buffett Rule alone simply will not cut it. Tell Democratic Leadership: Pass the Buffett Rule, and then end the Bush tax cuts for the wealthy and make corporations pay their fair share too. If the Democrats want to show a genuine commitment to enacting progressive tax policies that will help address the economic injustice in this country, they need to not just pass the Buffett Rule, but also make sure to end the Bush tax cuts and make corporations pay their fair share. Had President Obama decided not to cut a deal with the Republican leadership and extend the low Bush tax rates in December of 2010, additional revenue would already be "flowing into the U.S. Treasury" at a rate of "$11.6 million every hour of every day. "5 Generating those revenues by requiring the top 1 percent to pay their fair share as they were doing prior to Bush tax cuts, would have neutralized the beltway clamor for brutal cuts to programs such as Social Security, Medicare and Medicaid in the name of reform. Focusing on the Bush tax cuts isn't only just, it's also smart politics. We don't have to pass a bill through the Republican-controlled House -- all we need to do is ensure that Congress doesn't pass a bill that extends the Bush tax cuts past 2012. More than a decade after Bush tax cuts were signed into law, it is clear now that the Bush tax cuts were a huge mistake. Without the implementation of those disastrous cuts, our economy "would have been in much stronger shape to weather all the fiscal storms of the past 10 years and much better prepared for those of the next 10. "6 There is no reason for President Obama and the Democratic leadership in Congress to repeat that same mistake. This is a fight we can win if we are relentless. We need to speak up and lay down our marker today to let the Democratic leadership in Congress and the White House know that we expect them to hold the line against what has turned out to be one of the most disastrous economic policies enacted in our nation's history. Thank you for fighting to end the Bush tax cuts once and for all. 1. Editorial, "Mr. Obama and the 'Buffett Rule'," The New York Times, April 11, 2012. 2 Chris Cillizza, "President Obama to Republicans: Get serious," WashingtonPost.com, April 3, 2012. 3. Brian Beutler, "Progressive Advocacy Group Targets Hoyer Over Potential Entitlement Cuts," TalkingPointsMemo.com, March 1, 2012. 4. Jim Kuhnhenn, "Obama Calls On Congress To Pass 'Buffett Rule' Tax," AP, March 31, 2012. 5. Mattea Kramer, "Super committee: Let Bush tax cuts expire and your work will be done," The Christian Science Monitor, November 2, 2011. 6. Michael Linden & Michael Ettlinger, "The Bush Tax Cuts Are the Disaster that Keeps on Giving," Center for American Progress, June 7, 2011. GO TO THE CREDO ACTION WEBSITE AND SIGN THIS PETITION! "Pass the Buffett Rule, and then end the Bush tax cuts for the wealthy and make corporations pay their fair share too." Complete the following to sign the petition. You'll receive periodic updates on offers and activism opportunities. Voice your concerns for the corporate takeover of tax revenue in Baltimore! Unless otherwise noted, all meetings begin at 10:00 AM in the Governor’s Reception Room, Second Floor, State House, Annapolis. Pre-meetings begin at 9:45 AM in Room 217, State House, Annapolis. At 10:00 AM on meeting dates, a live online broadcast is available at http://www.governor.maryland.gov/stream.asp. IT IS IMPORTANT TO SEE THAT MARYLAND'S WEALTH, AS WITH THE 1% NATIONALLY ARE EXPERIENCING A BOOM IN PROFITS. THEY MADE A KILLING IN THE MASSIVE MORTGAGE, DEFENSE, AND HEALTHCARE FRAUDS AND ARE NOW READY TO POSITION THEMSELVES FOR GLOBAL EXPANSION. THIS HAS NOTHING TO DO WITH JOB CREATION. NOTICE MARYLAND'S EXPANDING MEDICAL COMPANIES AND REMEMBER THAT BILLIONS OF TAXPAYER MONEY, FEDERAL AND MARYLAND STATE ARE BEING FUNNELLED TO THESE SAME INDUSTRIES. JOHNS HOPKINS HAS CONTROLLING STAKES IN MANY OF THESE MEDICAL COMPANIES AND AS WE READ WITH THE 'NEW ECONOMY' THIS FUSING OF GOVERNMENT/UNIVERSITY/CORPORATION IS HAPPENING WITH THESE MERGERS. THIS ARTICLE ILLUSTRATES WHERE THESE POLITICIANS ARE MOVING YOUR SOCIETY AND IT IS PURELY PROFIT OVER PEOPLE! HOW CAN MARYLAND NEED SO MANY REGRESSIVE TAXES ON INDIVIDUAL FAMILIES AND CUTS IN PUBLIC SECTOR JOBS AND BENEFITS WHEN ALL THIS WEALTH IS AROUND US? WHY DO THESE BUSINESSES NEED SO MANY BUSINESS TAX CUTS? WE HAVE THIRD WAY CORPORATE DEMOCRATS IN OFFICE RATHER THAN PROGRESSIVES! Bucking a national trend, Maryland mergers and acquisitions rose almost 25 percent in the first quarter of 2012 compared with the last quarter of 2011, with the increase largely driven by the biotechnology, pharmaceutical and medical sector. 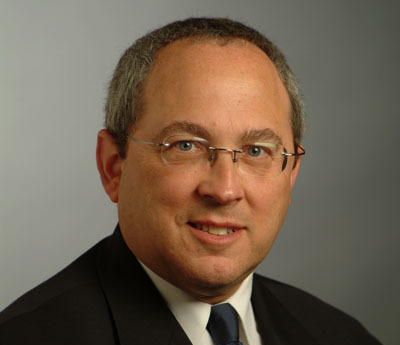 Abba David Poliakoff, a partner at Gordon Feinblatt LLC, says economic uncertainties caused many companies to conserve cash and resources. According to data compiled by Bloomberg Financial exclusively for The Daily Record, 55 deals closed in the first three months of the year, compared with 45 during the fourth quarter of 2011 and 68 in the first quarter of 2011. The mergers and acquisitions include completed deals in which Maryland companies were the buyers, sellers or targets. The count includes those that had reported transaction amounts and also tabulated property transactions by real estate investment firms. Bloomberg revised its data methodology from the previous quarter to provide The Daily Record with more comprehensive information. The largest acquisition in the first quarter was Chicago-based Exelon Corp.’s $10.2 billion takeover of Constellation Energy Group, which was Baltimore’s last Fortune 500 Company. That deal cleared its final regulatory hurdle in March, when it received approval by the Federal Energy Regulatory Commission. It had been in the works for nearly a year. Bloomberg bases its value for a stock offer such as the Exelon-Constellation deal on a 20-day average of the stock price prior to the deal’s announcement date, and also includes the debt assumption in the value. Bloomberg’s calculation method results in a higher deal value than the $7.9 billion figure The Daily Record had previously reported. The Exelon-Constellation transaction increased the volume of first quarter deals in which the value was disclosed to $13.1 billion. That compares with $2.8 billion in the final quarter of 2011 and $4.3 billion in the first quarter of 2011. Wiley said his firm has seen an increase in activity from both companies looking to buy and companies looking for capital. “It’s kind of a two-prong thing. We’ve got three [Maryland-based] companies that have enough cash to acquire and then we’re looking for four companies to find financing for further expansion,” he said. Nationally, 2,499 deals closed in the first quarter, a 7 percent decrease from 2,685 in the last quarter of 2011 and a 1 percent decrease from 2,532 deals in the first quarter of last year. The energy, mining and utilities sector deals dominated the beginning of the year, accounting for 26.3 percent, or $29.8 billion, of transactions, according to a quarterly report released this month by MergerMarket, a subsidiary of the Financial Times Group. The second and third most active areas were the industrials and chemicals sectors and the pharmaceutical, medical and biotechnology sector, respectively, according to the report. Globally, there was also a decline. “All the literature tells you that this last quarter has been the lowest for mergers and acquisitions in any quarter since three years ago in 2009, and that’s not only a function here in the U.S., but it’s also in Europe. In fact in Europe it’s even more depressed,” said Abba David Poliakoff, a partner at Baltimore-based law firm Gordon Feinblatt LLC. The decrease in mergers and acquisitions can potentially be chalked up to uncertainty in the economy, which is causing companies to conserve their cash and resources, said Poliakoff, whose practice includes mergers and acquisitions. Companies that are involved in deals are looking to fill a niche. “They are making increasingly smaller acquisitions, where a company tries to fill out a particular market space that it feels it can accomplish by an acquisition,” he said. Such strategic moves included Constellation’s $22.5 million acquisition of Oklahoma-based retail natural gas company ONEOK Energy Marketing Co. The acquisition brought Constellation customers in Wyoming for the first time, as well as increased its customer base in six other states in the middle of the country. Beltsville-based Vocus, a cloud-based marketing and public relations software firm, added another niche to its business with the $99.06 million acquisition of North Carolina-based iContact Corp., an email marketing software company. The state’s busiest sector was biotechnology, pharmaceuticals and medical care. Fifteen deals closed in this sector in the first three months of the year, including the second largest deal where the value was disclosed. California-based biotechnology firm Amgen Inc. acquired Rockville-based Micromet Inc. in a $901.8 million transaction. The California company paid $11 per outstanding share of common stock for Micromet, which specializes in cancer treatments. St. Louis-based Sigma-Aldrich Corp., a supplier of chemicals to research laboratories, acquired Rockville-based BioReliance Holdings Inc. Sigma-Aldrich paid New York-based Avista Capital Partners $350 million in cash for the deal. BioReliance, a contract research provider for biomedical and pharmaceutical companies, has labs and sales operations in the U.S., the United Kingdom, Japan and India, and employs more than 650 people worldwide. Maryland increased its position in healthcare internationally when Rockville-based OriGene Technologies Inc., a biotechnology company specializing in gene-based diagnostics tests and treatments, acquired Beijing Zhongshan Golden Bridge Biotechnology Co. Ltd. OriGene acquired the Beijing-based maker of cancer diagnostic products for an undisclosed amount. Private equity continued to play a role in first-quarter deals. Though it accounted for 14 deals — the same number as the last quarter of 2011 and only two deals fewer than the first quarter of 2011 — the volume of the deals surged. There was $867.5 million in private equity involved in deals that closed this quarter, compared to $376.8 million in the last three months of 2011 and $377.4 million in the corresponding quarter of 2011. Rohde, whose firm’s activity is in sync with Maryland’s trend of increases in deals, said he is seeing strong activity among companies that do government contracting, such as cyber and intelligence technology. Bethesda-based defense contractor Lockheed Martin Corp. acquired Utah-based Procerus Technologies LLC for an undisclosed amount. Procerus is a maker of autopilot systems, particularly for unmanned vehicles. Virginia-based ASI Government Inc., a consulting firm for the public sector, acquired Maryland-based Frontline Solutions Corp., also for an undisclosed amount. Founded in 2006, Frontline provides intelligence analysis and information technology services to the federal government. With several tax cuts set to expire at the end of the year, including one for long-term capital gains, Rohde said an increase in deals may also be coming. “It’s really the uncertainty of taxes that may make people consider ‘Is now a good time to sell?’” he said, noting a similar push that happened in late 2010, before Congress extended the tax rate. Other areas of the market also showed strong activity, with eight property deals, seven technology sector deals and six real estate deals closing during first quarter. The biggest disclosed real estate deal was the $396.2 million acquisition of New York’s Park Central Hotel LLC by Bethesda-based real estate investment trust LaSalle Hotel Properties. LaSalle also bought the Hotel Palomar in Washington, D.C. for $143.8 million. Marriot International boosted its properties as well, buying the Clock Tower Building in New York City for $165 million. The iconic Madison Avenue structure will become of the company’s EDITION hotels, a brand created in partnership with developer Ian Schrager. Eight deals occurred in the communications sector, including Silver Spring-based Discovery Communications Inc. and Hunt Valley-based Sinclair Broadcast Group Inc. increasing their holdings. Discovery, which last quarter bought British production company Betty for an undisclosed amount, continued its international activity by acquiring a 20 percent stake in Televista SA, a French television company specializing in programming for women. Sinclair doled out $200 million to New York City-based Cerberus Capital Management L.P. for the purchase of Four Points Media, a group of seven television stations. Three of the stations are in Florida, two are in Utah, one is in Massachusetts and one is in Texas. Sinclair began operating the stations in October, while the companies waited for the Federal Communications Commission to approve the deal.